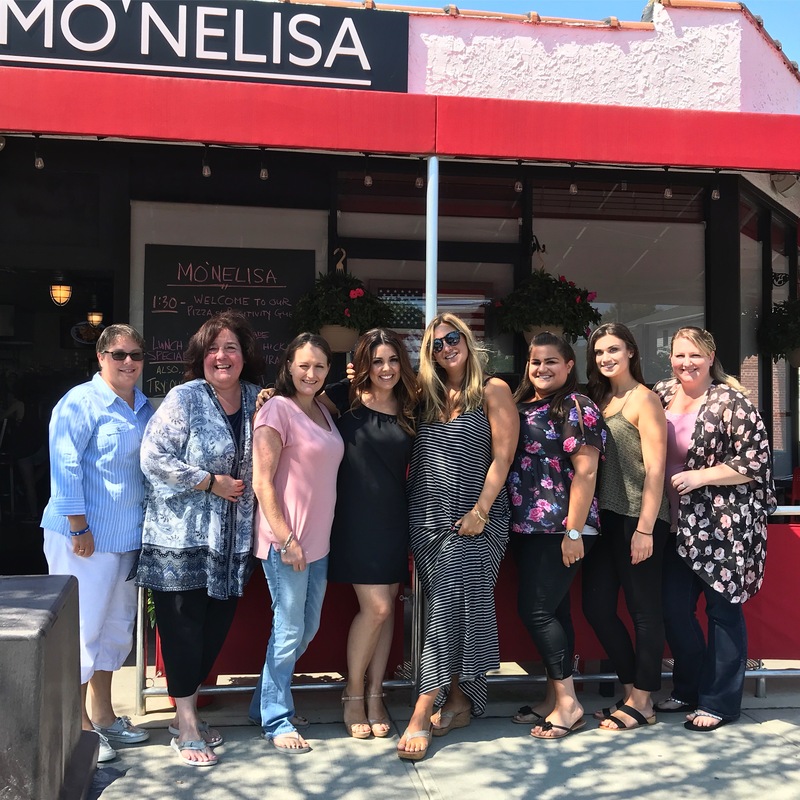 Every month our owner Elisa DiStefano hosts Pizza & Positivity here at Mo’NElisa. A random group of people is chosen from her Instagram page. They are each invited with the guest of their choice for a leisurely lunch with Elisa packed with of pizza (and some pasta and other Italian eats too of course) and positivity.”It has been so incredible and one of the most rewarding things I’ve ever done”, Elisa explains. “I’ve found that it is so rare that I have an opportunity to sit with strangers, be totally present and talk about meaningful things… with no expectations, no agenda, just people connecting, inspiring one another and spreading positivity.” Elisa says that she decided to do this in a mission to spread positivity, after a positive outlook helped her recover from a serious illness earlier this year. If you’d like to participate, Elisa will continue to announce dates on her Instagram page as well as on our social media. Reply with a comment & you could be chosen for the next Pizza & Positivity… leaving with a full belly & fully heart is guaranteed!